Most parents have a favorite child, but decide to keep it secret. Why not advertise! 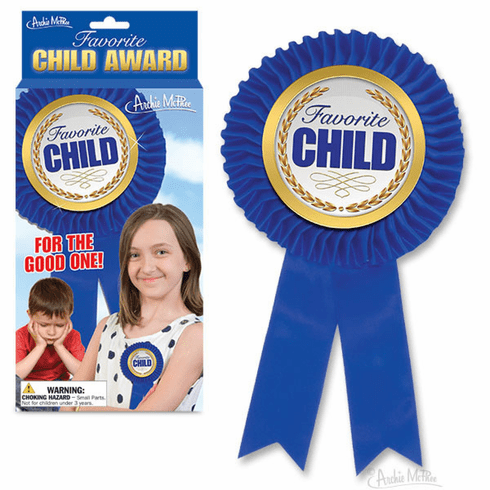 This hilarious 9" (22.9 cm) blue ribbon attaches with a clip back to your best child. Of course you don't have to use it, just leave it out on a table and watch their behavior improve. Makes family reunions more fun. Illustrated box.